I've only just started watching this series... This is the stock piece of animation used just before the ad break. Taken from the back of the bootleg box set for the Asgard series. Esta de ptm esta imagen,,,,sigan subiendo mas . beautifull image...really nice, thank's for having shared the big 5! 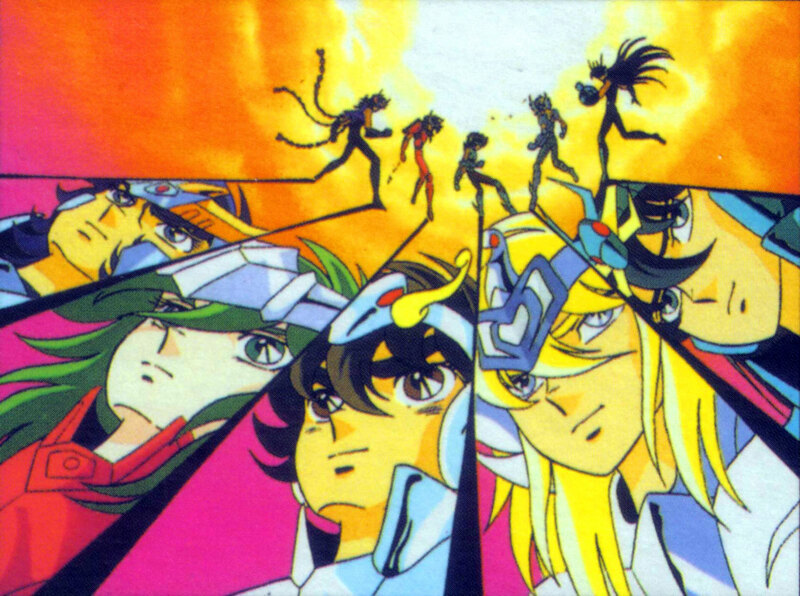 the most beautiful image of Saint Seiya! Great scant! Thanks for sharing!